The University of Warwick Music Centre was founded in 1969, and during its existence has developed a remarkable record of high quality music-making in the West Midlands, UK and abroad. The Directors of Music - Graham Treacher, Roy Wales, Simon Halsey, Colin Touchin and now Paul McGrath - have been encouraged by the University to promote and stimulate student music-making, despite the fact that there is no full-time degree course in Music at Warwick. In 1995, the Music Centre welcomed Stuart Dunlop as Assistant Director of Music and this title has now passed on to Lucy Griffiths, who joined us in 2005. Over the years the range of ensembles has grown from a modest Chorus and Orchestral Society to encompass a wide range of ensembles, which are described in detail elsewhere. During recent years, various commissioned works have been written for the ensembles - Jeremy Pike's Missa Brevis (for Chamber Choir); Sarah Rodger's Mary Rose (for Orchestra); Philip Cashian's Taquirari (for unaccompanied Chorus); John Woolrich's Passacaglia (for Chorus and Orchestra); Thea Musgrave's Journey Through a Japanese Landscape (for honorary Warwick graduate, Evelyn Glennie and Symphonic Wind Ensemble), and Felix Cross' The Bottle Imp, a musical adaptation of the Robert Louis Stevenson short story (with Chamber Choir and professional company). 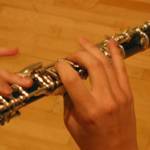 As a member of the Colleges Consortium, the Music Centre continues to support new works from composers across the country, such as John Dankworth's Hemming Way in March 2003 by the Symphonic Wind Ensemble. 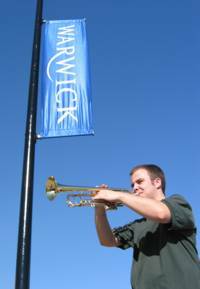 More recent commissions include the Warwick Fanfare by Michael Nymen which is used in the Graduation Ceremonies and Expectancy by Howard Skempton to celebrate 30 years of the Coull Quartet's residency at the University. The various ensembles regularly give concerts on- and off-campus. In 1996, the Chamber Orchestra accompanied the City of Birmingham Symphony Orchestra Chorus in a performance of Fauré's Requiem in Birmingham Town Hall. In January 1997, the female voices of the Chamber Choir joined with the Royal Philharmonic Orchestra in a performance of Holst's The Planets suite, whilst the whole choir performed Mozart's Requiem with Matthias Bamert and the London Mozart Players. The Chorus joined the Royal Philharmonic Orchestra under the baton of renowned Mahler expert Gilbert Kaplan. He described the concert in October 1998 as "the best performance of tour." In March 1993, the Chorus and Orchestra made their debut at Symphony Hall, Birmingham with Berlioz's Symphonie Fantastique and Walton's Belshazzar's Feast. Both have since returned there, and were joined in 1996 by Wind Orchestra. 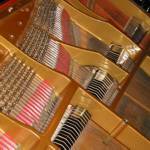 Repertoire at Symphony Hall has included Rachmaninov's Piano Concerto No. 2, Brand's Pioneer 10, Fauré's Requiem and Saint-Saëns' Organ Symphony. The Symphony Orchestra and Chorus made another first in March 1997, by appearing in the mainland UK's newest symphonic concert venue, the Bridgewater Hall, Manchester, in a performance of Hilarion, by Colin Touchin with words by Robert Hamilton. The Chorus and Chamber Choir performed in Coventry Cathedral and Birmingham's Town Hall. Recently the Music Centre has started taking groups to London to perform, at venues such as LSO St. Luke's, Rosslyn Hill Chapel, Hampstead and St. John's, Smith Square. It is a great opportunity to bring student music to a new audience, and many alumni living and working in London have been involved in these concerts, as audience or even sometimes as players. International tours have been made by the Chamber Choir to competitions in Montreux, Malta, Athens and Cantonigros (winning the Gold Award, Silver Trophy Gold Medal and Premi PYSESA respectively). The Choir also visited Ireland in 1996 and was invited to perform Mozart's Requiem and Te Deum in Vienna, Kosice and Bratislava as part of Universitas Cantat 1998. The Symphony Orchestra and Chorus toured Prague, Bratislava and Vienna in 1995, performing Mozart's Coronation Mass, Brahms' 4th Symphony, Dvoràk's Te Deum, and Elgar's Enigma Variations. Previously, they have toured Salzburg and Vienna (Mozart's Requiem, Brahms' 2nd Symphony, and Mozart's Grand Serenade for 13 wind), Paris (Elgar's Dream of Gerontius), Belgium and Czechoslovakia (Berlioz' Symphonie Fantastique and Elgar's Cello Concerto). In 1996, the Wind Orchestra toured Salzburg, Strasbourg and Munich; whilst a mixed group visited Ryazan in Russia in 1995 to join their celebrations of the city's 900th anniversary of foundation (with an all-British programme of works from the 16th to 20th century). In 1997, the Chorus and Orchestra visited Eastern Europe again, this time going to Brno and Budapest, whilst the Brass Society visited France. In 1998, the Wind Orchestra went to Avignon in France and Tossa de Mar in Spain for a summer tour. In 2000, seven of the Music Centre ensembles particpated in our 2000 - possibly the biggest University Music Tour in the world ever! Since then, ensembles have continued to tour regularly with recent locations including Poland, Canada, India, Spain, France, Ireland and the Isle of Man! In 2004 The University of Warwick Symphony Orchestra were given the prestigious honour of performing at the weddings of top Indian Businessman Subrata Roy's two sons Sushanto and Seemanto. The orchestra performed at both weddings, playing on a specially constructed revolving stage placed at the centre of Mr Roy's 350 acre estate. They entertained the 30,000 guests who included India's top politicians and Bollywood's elite, as well as members of the business community and international sports stars, including tennis ace Boris Becker and Olympic track star Michael Johnson. Mr Vajpayee, India's Prime Minister, requested an impromptu performance of a piece generally acknowledged to be India's unofficial national anthem - Saare Jahan. The wedding was possibly the largest party India has ever seen, and was described as the wedding of the century. Since then the Orchestra has toured to Poland (2004), Italy (2006), Belgium (2009), Holland (2010), Milan (2012) and to Germany Easter 2014. The Wind Orchestra have toured with the Brass Band since 2003, having now been to France (Reims), Germany, Holland, Prague & Budapest. The Music Centre has a fine record in competition. Apart from the international awards in Montreux, Malta, Athens and Cantonigros, the Chamber Choir also won Choir of the Day in the regional heats of the Sainsbury's Choir of the Year competition in 1996 and 1998. The Wind Orchestra has participated in the Boosey & Hawkes National Concert Band Festival for a number of years. In 1995, '96 and '97 they were awarded Silver at regional level and achieved a Gold award in 2002, progressing to the 2003 national finals. At the same event, the Symphonic Wind Ensemble won Gold Awards at the regional level and Silver in the 1996/7 national finals in Manchester, a feat repeated in 1997/8, and a prestigious Gold award at the National Finals in 2002. The Wind Orchestra won gold again in the 2007 Regionals and achieved a Silver at the finals in April 2008. They have won platinum at regional events and continue to do well each year. The Big Band have also frequently reached the finals of this nationally recognised compteition. They continue to do well, having won the Alma Jazz Festival in 2007 and returned there in September 2008. The Brass Band are one of the higest ranked Student Bands in the country. In 1997/8, their first year of competition, they won the Leamington Brass Band Contest (4th section), then the Midlands Area Contest (4th section) and were finalists in the Brass Band National Finals in Harrogate. They have been a second section band and continue to succeed at contesting, qualifying for the National Finals again after the areas in 2007 and 2008. They have been attending Unibrass, a university banding contest, which they hosted in 2014 and came 4th (out of 16) in. 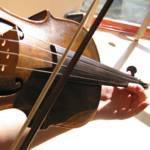 The Music Centre is committed to developing new talent and embracing as many musical genres and styles as possible. In recent years World Music has been introduced, with the purchase of a Samba Drums, Sitar, Tabla, Dhol and African Djembe. There is also a highly popular Drumming Society, who over the years have performed Samba drums as part of Drumestra and who have a steel pan band who regularly perform. In 2010 we appointed Ruairi Edwards, a former Music Scholar at Warwick as our Associate Artist who has been project manager for our World Music programme and has developed the Warwick World Music Group (WWMG) and worked with them on Warwick Fused concerts, which are now in their 3rd year and feature a collaboration of world music from ACS (African Caribbean Society), Amapola Latin American band, Indian Music Ensemble, Chinese Orchestra, Steel Pans, Chorus and the Symphony Orchestra. Our Indian Music Ensemble has grown and has organised guest concerts from leading global Indian musicians, while our Chinese Orchestra has performed unique collaborations with the Symphony Orchestra in London and at the Arts Centre. Although plans for the future are flexible and adventurous, it is certain that this record of commitment to all styles of music, of commissioning and touring for the ensembles, and of performing in major venues will continue to provide the opportunities for the gifted musicians to perform, even though they come to the University to read a degree in some other subject! Many alumni of the Music Centre are proud to continue to perform with us as part of the Warwick Phoenix ensembles. In these days of doubt and concern over music education in Britain, the quality and depth of musical talent possessed by students at the University of Warwick is convincing evidence that where there is talent and willingness, nothing prevents their proud display!